First comes love, then comes marriage, then comes the after party! We recommend you use custom party accessories fit for royalty. 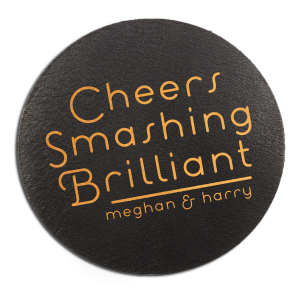 Prince Harry and Meghan Markle's wedding is on the horizon, so join the following and style your celebration with a British Royal Wedding After Party theme. It will be an affair to remember. 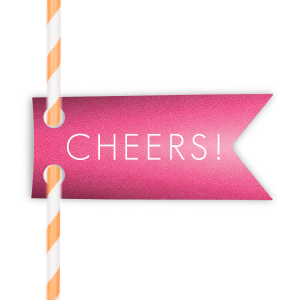 You can personalize one of our designer-made custom party supplies below or create your own with the FYP Customizer. 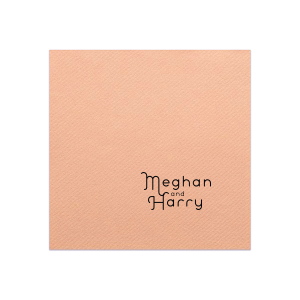 Inspired by the upcoming royal wedding, who else wants to throw a party approved by Meghan Markle?! We’ve put together your one-stop-shop to theme your next celebration like a royal after party. 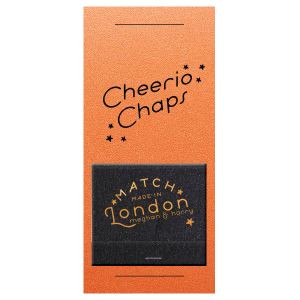 A bit more casual than the royal wedding reception, this could also pass for a posh British themed party with all the bits and bobs you could desire. Prince Harry and Meghan seem like such a fun, laid-back couple, and we know they don’t turn down a good party. 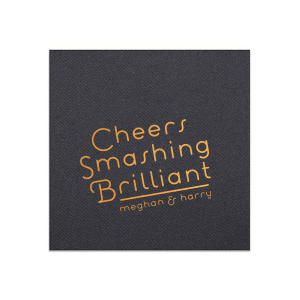 So we’ve styled this British party theme with a color palette featuring Harry’s favorite color—orange—and our most brilliant British party slang as word art. Aside from drinks, you can also pair delicious appetizers with your custom printed cocktail napkins. Combine a classic American food like hamburger sliders with a classic British food like fish and chips for another hats-off to Prince Harry and Meghan. 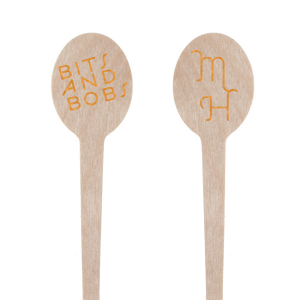 Get creative with your personalized details and use foil stamped drink stirrers as personalized kabob sticks! 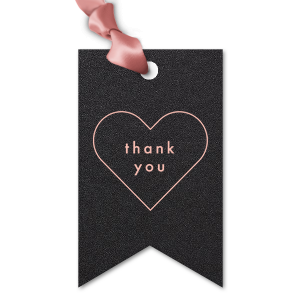 Finish your party off with personalized party favors that will properly commemorate your celebration and your royal wedding after party theme. 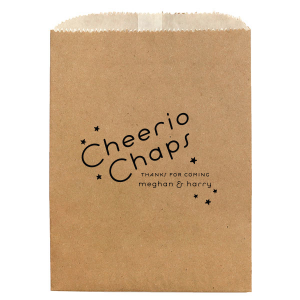 Custom printed party bags stamped with a dear “Cheerio!” can hold sweet treats or small favors to send home with guests. 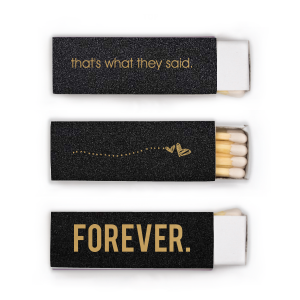 You can also end the party with a brilliant sparkler send-off—complete with custom matches featuring your favorite pun. The city in which they met, Prince Harry and Meghan are a match made in London! Whether you’re hosting a spirited royal wedding watch party or simply want to theme your upcoming celebration with your current royals obsession, start with For Your Party to theme every detail to perfection.